See a complete list of upcoming 2018 events below. 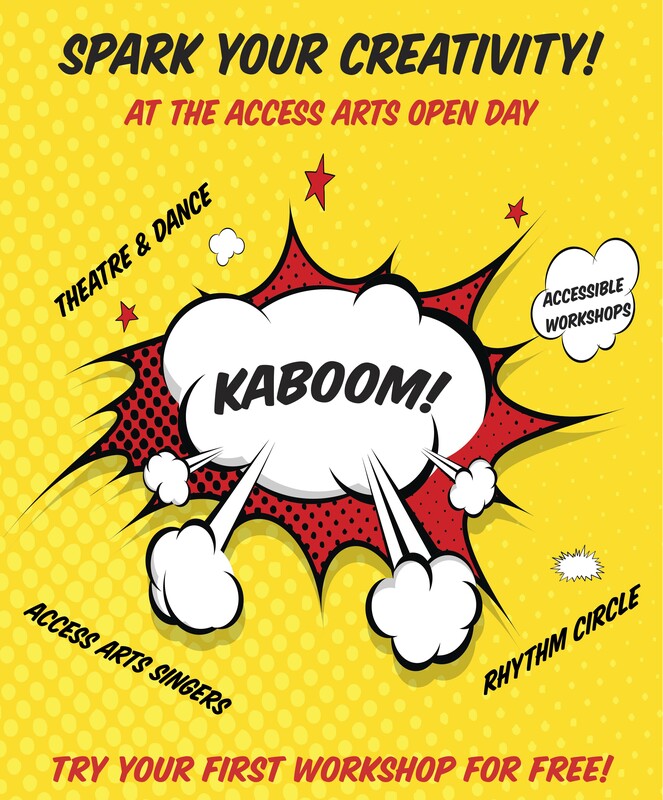 Access Arts is holding an Open Day on 17 April, and you’re all invited! Some of us get the idea that creativity is something most of us have missed out on. We’ve got news for you, we are all born creative! All it needs is a little spark, a little encouragement and an outlet to express yourself. Before you know it … Kaboom! Come along to our Open Day and try out a workshop, or two, or three for FREE. Spend an hour or two, or even the whole day at the iconic Brisbane Powerhouse. Have fun, make new friends, and watch those sparks fly. Register for your free trial by downloading and completing our workshop enrolment form (please omit the payment section) or by calling Mary on 3505 0311. Our exciting line-up of Term 2 workshops has been finalised and we are now open for registration. With the new term beginning on 16 April, places are going fast. Access Arts is holding an open day for its Performing Arts workshops on 17 April 2018. Find out more here. Not sure if a particular workshop will be a good fit? You can always sign up for a free one-day trial by calling our office on 07 3505 0311. Places are limited and time is running out, so don’t wait too long!